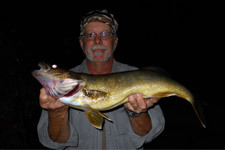 We're located on the banks of the Black River. Water fun is high on our list. 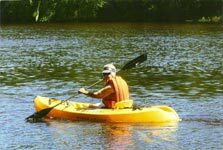 We rent canoes, kayaks, standup paddle boards (SUP)'s and tubes for memorable river trips..
Water Sports is a must at Lost Falls Campground. 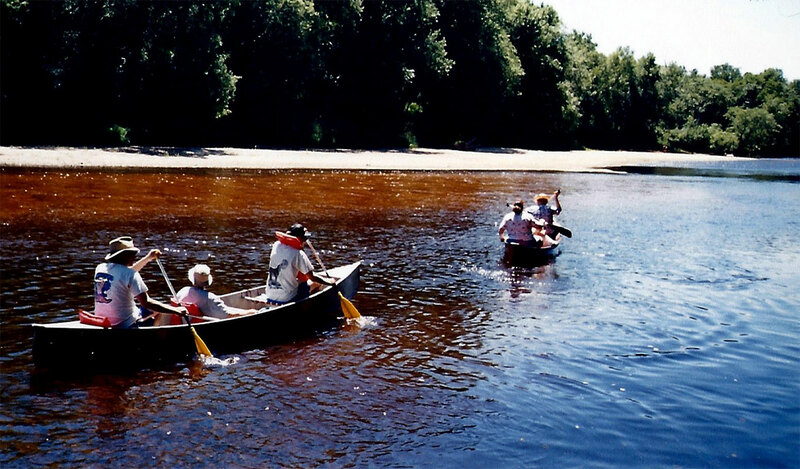 Whether it is a Tube float or a Canoe/Kayak trip down the Black River. 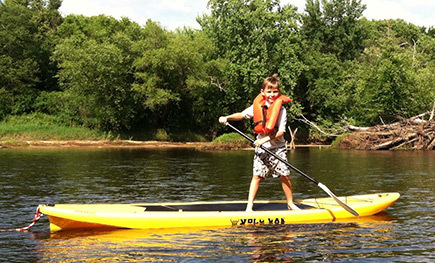 Also try our stand up paddle boards which are lots of fun! 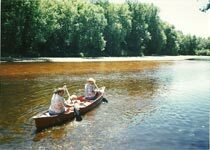 "Grab your suntan lotion and lets hit the river"
As always, it is best to call us at 715-284-7133 for current information on the water level and activities we are offering. TUBING IS A GREAT WAY TO RELAX AND ENJOY THE RIVER. WE HAVE LOTS OF TUBES AVAILABLE FOR RENT. 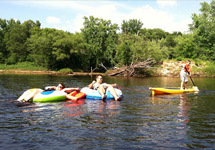 Campers as well as non-campers may rent tubes for float trips. The fee is $11 per person including tax. This fee also includes your parking pass, vinyl tube, coast guard approved pfd and shuttle upriver to the departure landing. We begin tubing @ 9 am each day. The last shuttle up river is 3 pm. 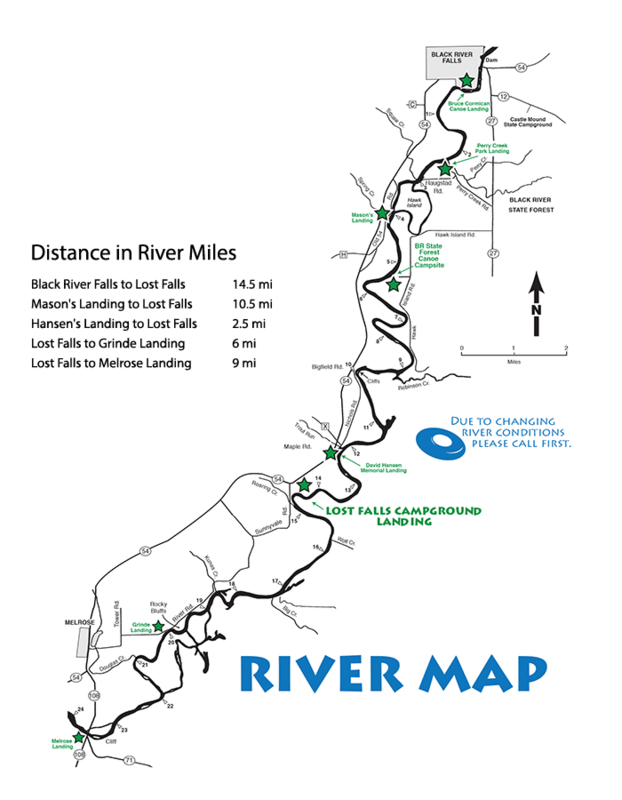 Plan to arrive between the hours of 9 a.m and 3 p.m. and we will get you on the river. Folks are shuttled on a first come, first served basis. So, the earlier you arrive the sooner you get out on the water! 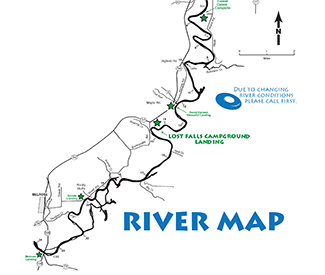 Please remember if you are not camping at Lost Falls you may NOT bring your personally owned tubes to float the river and use our private landing. All are welcome (non campers, campers & day guests) to rent our tubes and float the river. Renting tubes is first come first served - and easy. 1. 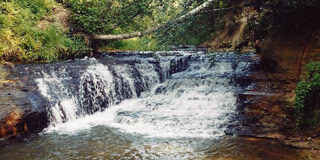 Fill out our river recreation form. 2. Take it to the front counter. 3. Pay for your trip. $11 per person. Cooler tubes are $10 each. 4. Receive your parking pass and number. 5. When your number is called you will be outfitted for the river and shuttled to the departure landing. 6. Float. Have fun. Relax. ENJOY. 7. You will float 2.5 river miles and end here at Lost Falls Landing. No waiting to be picked up and shuttled back. Just leave your tubes and life jackets on the trailer, and walk on back up the road! LET'S GET WET AND ENJOY THE RIVER!